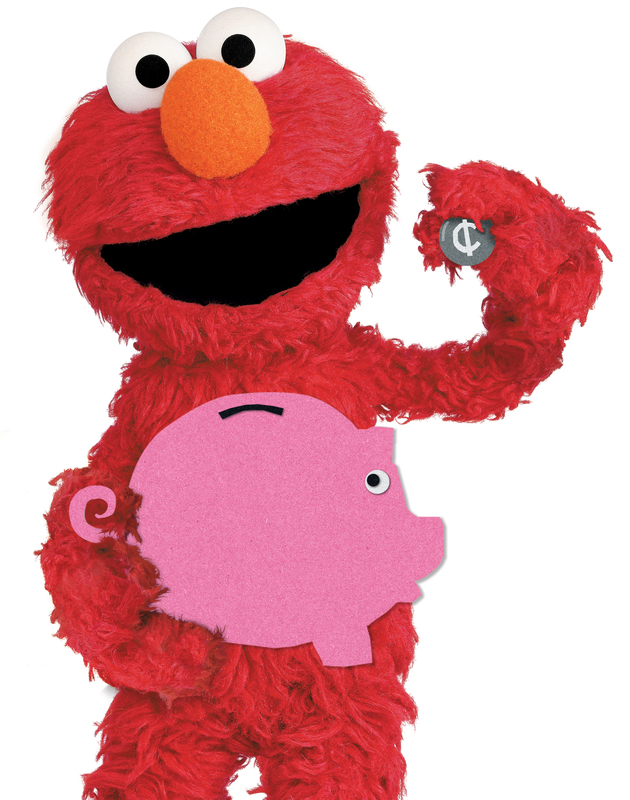 Financial Education with the help of Sesame Street… Share, Save and Spend project. A growing number of researchers and educators believe that financial education should start early. In addition, incorporating parents and caregivers into their children’s financial education early on may increase parents’ own financial knowledge. And make them better financial managers and role models for their children. I had the opportunity to sit down and discuss the recently released project For Me, for You, for Later: First Steps to Spending, Sharing, and Saving. The project was developed by Sesame Workshop and in partnership with PNC Bank and PNC Grow Up Great, a ten-year 100 million dollar program to help young children prepare for success in school and life. MM: Sesame Street is a huge support in childrens education and have tackled a lot of big issues like sharing and reading. Can you tell me why “For Me, For You, For Later” was created? DB: We base our initiatives on need. There is a lot of financial education for adults. There is not a lot of information geared to help educate pre-school age children. We were motivated to help the whole family. MM: Many parents haven’t had any “formal education” with money management. What do you think the biggest struggle is for these parents when trying to teach their children about money? DB: One initiative was to incorporate teachable moments, making it a part of what they are doing already. Why not engage kids in shopping experiences… start talking about needs versus wants… planning and saving. MM: Why do you think it’s important to talk to young children and educate them about financial literacy at such a young age? DB: Financial basics for young children is about building a foundation. Understanding spending, sharing and saving is an appropriate way to set the foundation and later on it will build. Even at a young age, children can learn the fundamental skills that will help them establish a lifelong foundation for financial education. Guide young children’s ability to make choices and think about the reasons behind them. Support young children’s understanding that people, things, and money have value. Establish the importance of working hard to earn money to buy items we need and want. Encourage children to be persistent and to learn that there are moments when they may need to wait to get what they want. Demonstrate the basic financial strategies of saving, spending, and sharing as important things people can do with money. (including Activity Books, DVD’s and Games).